Search Engine Optimization (SEO) drives improved traffic to your website and increases your search rankings in Google and other search engines. Our team brings together several SEO strategies, like improved page copy writing and link building, to increase your website’s traffic. Properly building your website, including on page content that is SEO optimized, allows your website to be found more easily. Customers use keywords to search for websites that match their interests. SEO optimized content matches those keywords and boosts your ranking in a search engine’s search results, allowing your content to be discovered quickly. Business owners go to great lengths to have good looking websites designed only to find their traffic doesn’t improve. You have the content, but still need visitors to read about it. After implementing new SEO copy on your website, you’ll find that the traffic you’ve been missing out on is now visiting and enjoying your content. SEO optimized copy is the cornerstone of good website marketing. Venture & Grow is committed to making our customers’ success our number one priority. We will always make ourselves available to you with quick response times and high-quality work. 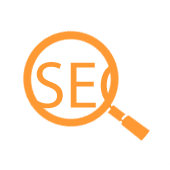 Contact us today if you have any questions about SEO optimized copy and how it can work for you.